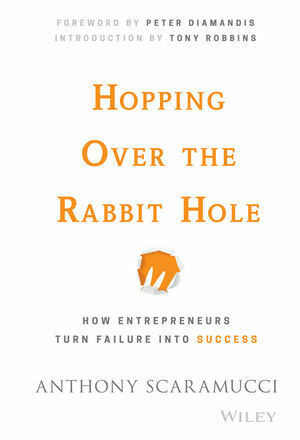 Hopping over the Rabbit Hole chronicles the rise, fall, and resurgence of SkyBridge Capital founder Anthony Scaramucci, giving you a primer on how to thrive in an unpredictable business environment. The sheer number of American success stories has created a false impression that becoming an entrepreneur is a can't-miss endeavor—but nothing could be further from the truth. In the real world, an entrepreneur batting .150 goes directly to the Hall of Fame. Things happen. You make a bad hire, a bad strategic decision, or suffer the consequences of an unforeseen market crash. You can't control what happens to your business, but you can absolutely control how you react, and how you turn bumps in the road into ramps to the sky. Anthony Scaramucci has been there and done that, again and again, and has ultimately come out on top; in this book, he shares what he wishes he knew then. Anthony Scaramucci is an entrepreneur, financier, bestselling author, and philanthropist. In 2005, he founded SkyBridge Capital, a multi-billion-dollar global investment firm and producer of the SALT Conference, the premier thought leadership forum on alternative investments and alternative thinking. Prior to founding SkyBridge, he co-founded investment partnership Oscar Capital Management. Scaramucci is the co-host of Wall Street Week and a contributor to the Fox Business Network and Fox News Channel. He also hosts a podcast on entrepreneurship called "The Motivation Inside (TMI)." In 2016, Scaramucci was ranked #85 in Worth magazine's Power 100. In 2011, he received Ernst & Young's Entrepreneur Of The Year®New York Award in the Financial Services category. A native of Long Island, New York, he is a graduate of Tufts University and Harvard Law School.